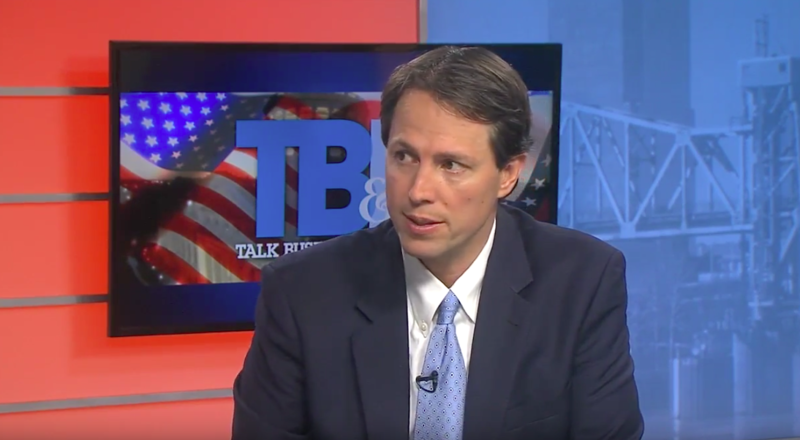 LITTLE ROCK－Appearing in the KATV studio Wednesday with moderators Roby Brock of Talk Business and Politics and KATV anchor Chris May, Clarke Tucker came away from the evening with a dominant performance among invited candidates. From pre-existing conditions and health care coverage to national security and foreign policy, the topics were wide-ranging and lasted over 60 minutes as Tucker took dozens of questions from moderators and voters in the district. Congressman French Hill was invited last month by KATV and Talk Business and politics, but declined the opportunity to take questions from Arkansans, leaving Tucker the hour to speak with voters. >>> Donate to Clarke Tucker for Congress today.